Matrix Living provides customers with customizable construction services with our container modular building products. These units can be assembled quickly and easily, significantly reducing the cost of construction compared to traditional building styles. Spa 5 Container Modular BuildingThe Spa 5 container modular building features three types of houses with different areas and layouts. The building is equipped with a separate bedroom, bathroom, kitchen and living room. The Matrix Living Spa 5 modular building is designed based on standard 40 feet shipping containers. 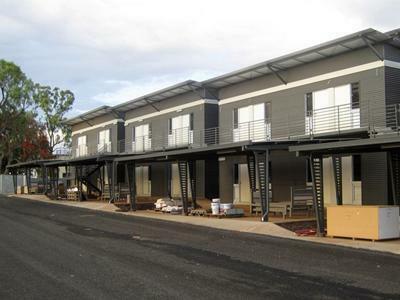 Ber 3 Modular Construction Apartment BuildingEach independent unit of the Ber 3 construction apartment modular building is made up of 3 containers and there are aisles between every unit. 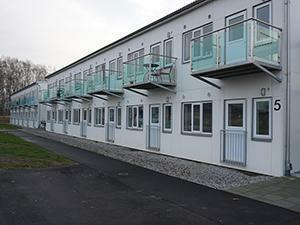 The Matrix Living Ber 3 construction apartment modular building is made up of 224 standard 40 foot shipping containers. Oxi 2 Shipping Container Apartment BuildingThe Matrix Living Oxi 2 shipping container apartment building consists of 248 standard 40 foot shipping containers, with 210 apartments with separate kitchens and bathrooms. Oxi 2 shipping container apartment buildings are designed using shipping containers as they are suitable for long-distance shipping and reduce transportation costs. 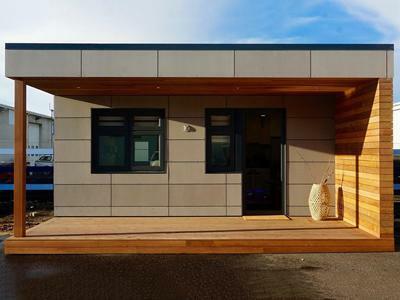 Pa Residential Modular HomeThe Pa residential modular home consists of 108 standard 40 feet containers, including 32 ordinary apartments. Each apartment has an independent kitchen and bathroom with a total area of 75-85 square meters. 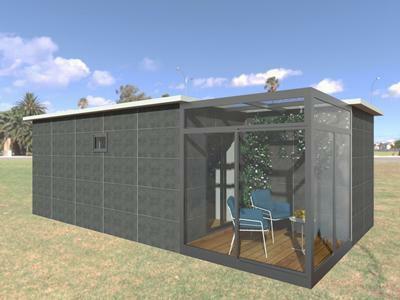 Bris Residential Modular HomeThe Bris residential modular home is a small family villa composed of two standard 20 feet seaborne boxes stacked in a staggered pattern. It has a total area of 30 square meters, including two rooms, one hall and one toilet. 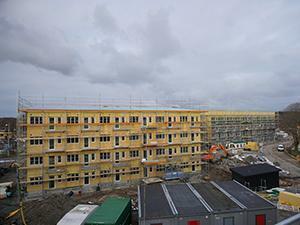 More than 95% of the construction is completed in our factory, so the site construction takes only 2-3 days. 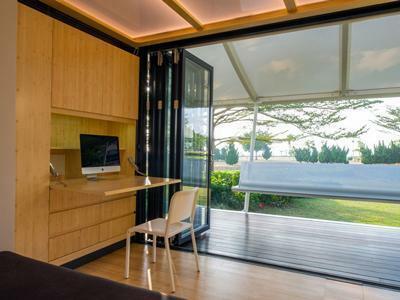 Lun Modular Container HouseThe Matrix Living Lun modular container house is a family apartment or hotel structure composed of 66 standard suites equipped with a kitchen. The whole hotel is built by stacking shipping containers. It can be put into use after designing and installing the exterior facade. Mor Modular Construction MotelThe Mor modular construction motel is a motel composed of 40 foot shipping containers and a 40CM bridging. It includes four rooms, each equipped with an independent bathroom, which can provide a comfortable accommodation for local travelers. Ca-H Shipping Container Modular HotelThe Matrix Living Ca-H shipping container modular hotel includes units with a kitchen, study, bedroom, bathroom and an open living room, which can provide a comfortable accommodation environment for travelers. Bee+ Shipping Container Commercial BuildingThe Matrix Living Bee+ shipping container commercial building is a container building in Zhuhai which integrates office, cultural activity platform and youth community activity center all in one building. The Bee+ includes 100 stations, a Chinese and Western restaurant, a quiet bar, a public printing room, a kitchen, a gym. GZ Modular Construction Shipping Container OfficeThe Matrix Living GZ modular construction shipping container office is a double-floor school office composed of two standard 40 feet containers, two ultra-width 40 feet containers. It has offices, a small kitchen, restrooms, library spaces and can meet all of the needs of daily workplace environments. Nor-V Modular Construction Sample VillaThe Nor-V modular construction sample villa is a customized modular house often commissioned by high end real estate companies. It is equipped with all the comforts of a traditional home, including a living room, kitchen, two bedrooms, and two bathrooms. These modular residential spaces are often installed in coastal areas. REY-V Modular Shipping Container HouseThe REY-V modular shipping container house is a private house built using a modular container addition. Not only does it feature a great usage of space, but it also breaks traditional understandings of narrow spaces in standard containers, as well as removes structural weakness problems that are found in other container buildings. This house can be designed in a variety of layouts, all with a sound structural safety. CA-V Modular Container HomeThe CA-V modular container home is a 20 m2 single apartment built using a 3.3-meter wide and 6-meter-long container. According to the customer requirements, the materials used for water and electricity and the doors and windows within the building all meet United States building safety standards. 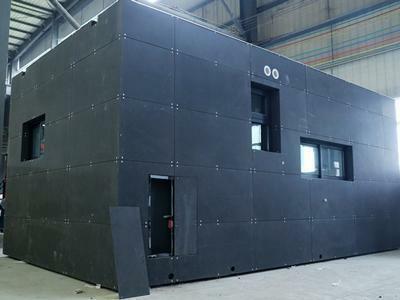 Here are project examples of container modular building , Zhujian as a leader in design and manufacture of modular building system, is a reliable contractor for modular building construction projects. 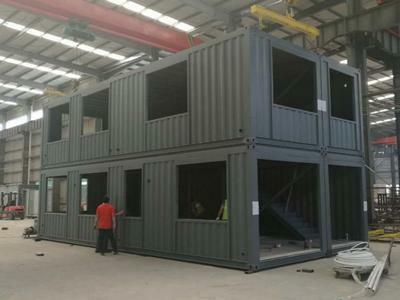 Our company provides a complete construction line for shipping container modular buildings, including wall panel, floor, ceilings, doors, windows, and electrical and water supply system. Focus on construction cost and product quality, we are offering metal modular buildings with complete design, manufacture, sales and installation services as well as modular construction solutions.